We are now selling amps and speakers by the new Bob Carver Corp.
Bob is hand building hi power state of the art tube amps that offer amazing value. Updated design and new circuitry allow these amps to compete with amps from competitors at multiples of their prices. 10 year warranties on the amps and tubes don't hurt either. The Amazing Line Source speakers are a breakthru in price versus performance and would be a deal at twice their cost. Following on the heels of his highly reviewed 350 mono amplifiers Bob has created the Crimson 275 stereo amplifier. The 275 is a 75 watts per channel stereo amplifier with many of Bob's unique features. 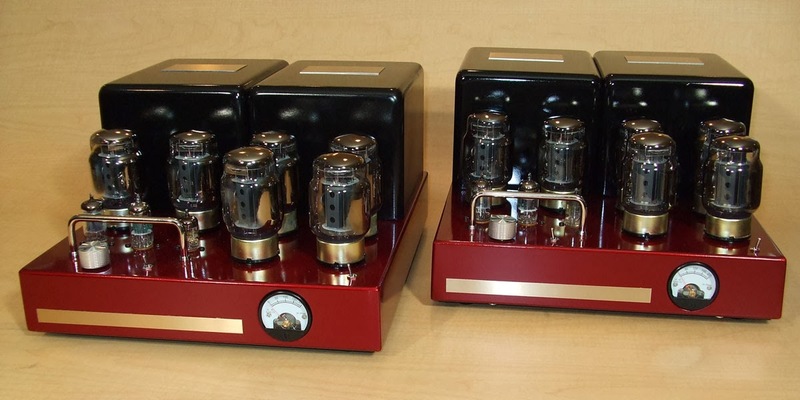 Never one to rest on his laurels, Bob has yet again created a design that sets a new benchmark, defining what a reasonably priced power vacuum tube amplifier should be. And it has some of bob unique features. These amps are exceptional value at only $2750.00.